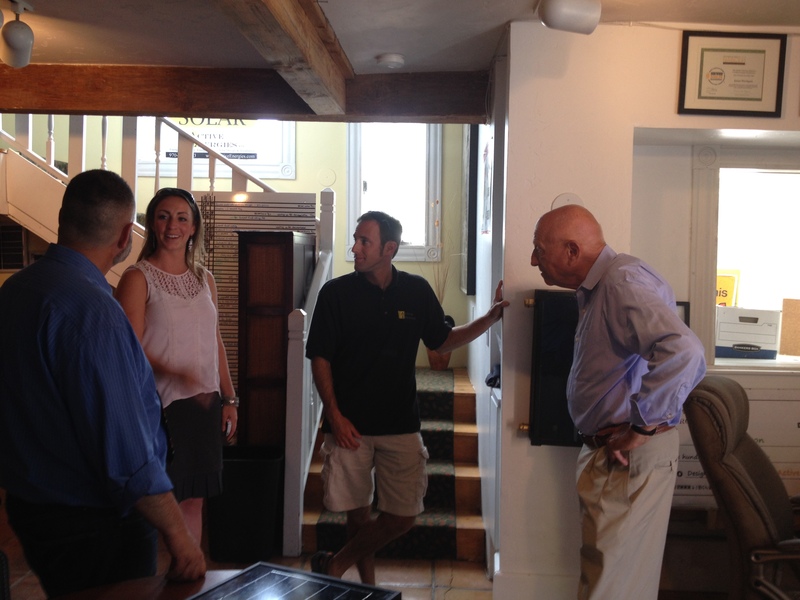 Colorado State Senators Rollie Heath and Pat Steadman and their staff visited Active Energies on July 16. The Senators were on a listening tour to small businesses located in Eagle County and made the Vail area solar company the last stop on their tour. Heath and Steadman toured the Active Energies offices, meeting with the owners and staff to discuss the challenges and opportunities for small businesses in Colorado. 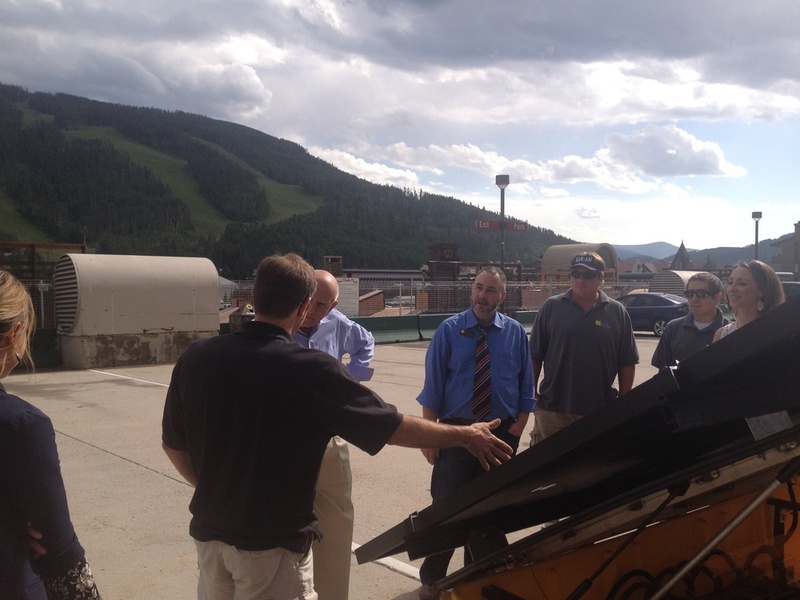 Following a tour of the company’s office in Minturn, the Active Energies staff accompanied the Senators to the Town of Vail’s Lionshead Parking Structure, where 10.6 kW of solar panels provide renewable energy for the town’s transit and welcome centers. The solar project was completed by Active Energies in early 2012 and provides an attractive and well-situated display of the town’s environmental initiatives. In addition to the roof-mounted solar panels, the Town of Vail’s Environmental Sustainability Coordinator, Kristen Bertuglia, was on hand to show the Senators a portable solar generator, which was also built by Active Energies. The solar generator, named the VoltsWagon, is a self-contained unit with with solar panels and batteries, which can be towed by car or truck to provide power to any location. The power for many of the town’s events can now be served without the noise and pollution of a conventional generator. Jason Weingast, the Vice President of Active Energies, provided an in-depth explanation of the equipment and function of both solar projects. Active Energies is a Minturn-based firm specializing in solar design and installation, energy consulting and energy auditing in Colorado and international markets.